1. Don't ever let your 'domain' expire if you can help it. was Guy Edwards of Brainjar Media. Permit me to expound on point #2. I highly recommend you that click on the link to Brainjar (above) and look at the Brainjar Medai website that explains the services that Guy provides. Also know that Guy is a very talented graphic artist, as well. 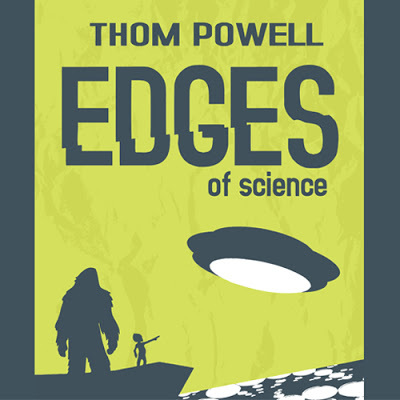 By way of example, have a look the cover art he created for my recent books, Edges of Science and Shady Neighbors (both seen below). What I cannot so easily show you is how competent Guy Edwards is at solving complicated problems related to web design and web hosting, or how astute Guy Edwards is at marketing and advertising products, services, and even ideas on the web. In short, if you have something you want to market or promote on the web or in the world in general, you will not be sorry you contacted Guy Edwards at Brainjar Media. 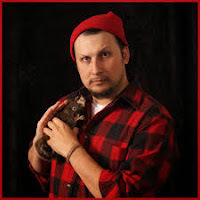 I can say this from personal experience, because, when it comes to this blog, Guy, figuratively speaking of course, brought me back from the dead. Naturally, these title are available by clicking on this link or the link found elsewhere on this blog. Amazon.com lists them as well. Having only been published for a little over a year, Edges of Science has suddenly experienced a surge in sales, thanks in large part to an appearance on Coast to Coast A.M. as well as the astute marketing advice provided to me by (you guessed it) Guy Edwards. When people ask me about its contents, I like to tell them that Edges of Science is not a good 'first book' for those who are relatively new to the whole sasquatch subject. My first book, The Locals, serves that purpose quite well. Conversely, Edges of Science is an "advanced course" for those who want to go a little deeper. Edges of Science discusses some very controversial and complicated ideas, the main one being that, if you really want to understand what is going on in the realm of the sasquatch, you have to widen the focus of your investigation to include other topics that loosely fall into the category of 'the paranormal.' The bigfoot mystery does not exist in any kind of void or vacuum, and science alone cannot answer every question we may ask about the bigfoot phenomenon. Bigfoot resides, in a very fundamental way, within the much wider realm of paranormal-ity or 'anti-science,' if you will. How so? It's a long story. I guess you'll have to read the book. Also, if you are a fan of gatherings and conferences on paranormal topics, Thom Powell will be speaking at two large conferences in 2017: The UFO/Paranormal Summit in Ocean Shores, Washington on February 24th and the grand-daddy of them all, the mega Ohio Bigfoot Conference at Salt Fork State Park, Ohio on May 20th. And, I'll post on this blog a little more regularly now that I'm back from the dead. I kind of thought it had expired. Welcome back to the world wide web Thom. Wooohooo! Thanks, Rick! See you at Johnny's paranormal conference at Ocean Shores WA in February, I hope. Hi Thom, I listened to your talk at Ocean Shores last month. It was incredibly riveting and I just ordered your book THE LOCALS today. Am looking forward to reading it. Will you be at Dr. Matthew Johnson's Bigfoot University conference in Bremerton, WA in April? I'm scheduled to speak at Marc DeWerth's Ohio conference that same weekend so...sorry. I'll be at a new venue in Longview WA in January or February 2018 if you are a PNW resident. Thanks so much for the interest. Thom I would like to hear you weigh in on Matthew Johnson's big reveal. Thank you. Glad to be seeing the reincarnation. Not that I thought you would keep up with it on retirement mind you. Speaking of mind you, Guy Edwards seems to be a wizard in red and black checkerboard (filing that away for future research); I am heading into my tenth anniversary of synchronicity and The Locals and Shady Neighbors not to mention the Field Obsrvers Guide are all integrally responsibe for my 7/8/2007 sighting of multiples, one in a precognitive sort of way.